This conflict could result in mass death. It sounds like the usual Twitter war. Or think of any other normal conflict in your life. You have coworkers who are fighting, family members who are squabbling, neighbors who you don’t like and don’t like you. In an ideal world, we would all get along. Sadly, that ideal will always be elusive. 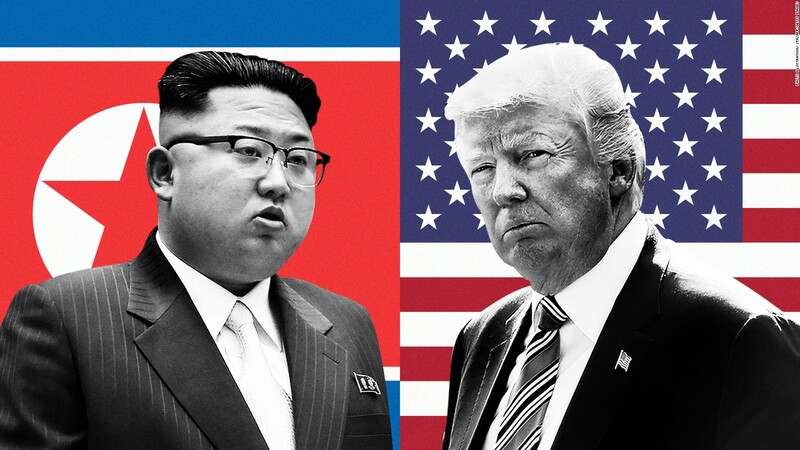 What’s the difference in the case of Trump vs. Kim? They are both heads of state. Each is holding their civilian populations hostage to the prospect of nuclear war. That raises the stakes to a huge extent. This conflict could result in mass death. Is there a better way? Consider the duel. Back in 1992 when George H. Bush had a conflict with Saddam Hussein over Iraq’s invasion of Kuwait, the vice president of Iraq suggested that they have a duel and leave everyone else out of it. “Bush wants to attack the whole Iraq, the army and the infrastructure,” the Iraqi VP said. Notice the VP’s focus on the rules here. The rules of engagement are traditional with duels. They must be agreed upon ahead of time: weapons, paces, time of day, and so on. In fact, many duels in the past did not happen precisely because the parties to the conflict could not agree on the rules. Both kept their pride and walked away. If they could agree on the rules, it took place and one person died. Conflict over. The duel was really about the need to contain the damage that results from human conflict. Really? The costs of the subsequent quarter century of war are incalculable, but they include not only mass death on all sides and vast property destruction but destabilization of the entire region, a horrifying refugee crisis, and the rise of ISIS. No question that the duel is a terribly violent tradition and the liberals of the 19th century were right to shame it into near non-existence. But look at the costs of what has replaced it! If we were really pressed to choose between a duel with one death (of a person party to the conflict) or war with millions dead (none of whom are responsible for the conflict), it isn’t really a choice. By comparison, the duel seems positively civil. Plus, dueling between politicians in the United States was extremely common in the past. The most famous one of all was the one between Aaron Burr and Alexander Hamilton. But at all levels of society, hundreds were taking place: between statesmen, families, business competitors, and so on. The liberals of the time inveighed against them on the solid grounds that society was increasingly discovering more peaceful methods of resolving disputes. Surely it is time to give up these premodern practices! Forget two dudes on a field firing after 10 paces. Now we have millions rounded up and slaughtered. That seems like a good idea until you consider what replaced it after the duel went away. It began with the Great War, the first total war in history in which politicians determined the fates of whole civilian populations in countries not in their jurisdiction. It is a level of horror that anti-duel liberals like Mark Twain could never have imagined. Then it got worse as weapons became more powerful. Forget two dudes on a field firing after 10 paces. Now we had millions rounded up and slaughtered by millions of others who were drafted to fight politicians’ wars, while those party to the conflict luxuriated in bunkers and gave orders. Talk about violence! Talk about injustice! When you look at this situation, you can see that there was perhaps more to the duel than we knew. Indeed, Peter Leeson had done incredible work on the social utility of duels. It wasn’t really about some mystical idea that cosmic justice is realized when fate takes down one man and leaves another standing. It was really about the need to contain the damage that results from human conflict, over ownership rights in the Middle Ages and, as time went on, over petty personal disputes later. Here’s the thing: only those who partake in conflict risk life and limb. Why should this involve anyone else? If those who start and feed conflicts risk paying a personal price, maybe they can be incentivized to chill out and figure out a peaceful resolution. Maybe that is precisely what the institution of the duel ended up achieving. It’s an interesting speculation: we usually think of the duel as evidence of a violent past whereas it might actually have been a practice that gradually caused humanity to become more peaceful. Conflict resolution doesn’t have to take any violent form at all. Let’s modernize the duel: choose your gaming platform and just settle the issue in a virtual world in which no one gets hurt. In all seriousness, we do need completely to rethink the ethics and efficacy of allowing personal insult to end up in the incineration of people who have nothing to do with the conflict to begin with.